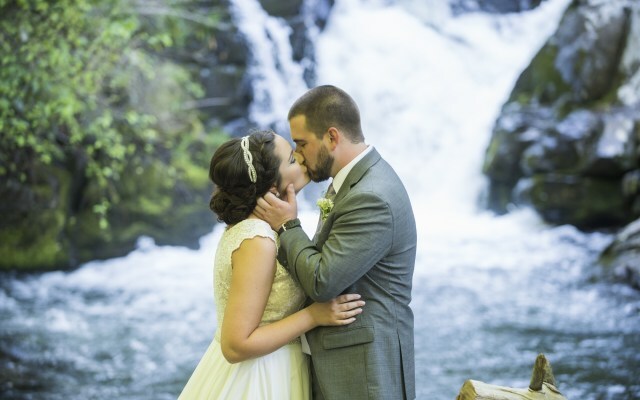 Wayah Bald, overlooking the Nantahala National Forest, is a truly picture-perfect location for your wedding ceremony. Just 10 miles from the Nantahala Wedding & Events reception venue. This outdoor wedding chapel is located on the grounds of the Nantahala Wedding & Events venue just footsteps away from the reception area. We know organizing an event away from your home town can be challenging. That’s why we provide everything you need to seat and serve your guests – in one low price! Slow down, relax, take in phenomenal views. Turn your wedding, family reunion, or other life celebration into a vacation for your family and friends. email our team about reserving cabins & yurts for your entire wedding party. Learn more at Nantahala Weddings & Events or contact our events coordinator.